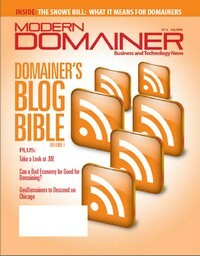 Latest issue of Modern Domainer features domain blogs. As Modern Domainer chronicles the domaining and parked industries, the voices of a small handful of those on the avant-guard continue to be the most relevant and stirring. Most of them have their own blogs with a wealth of information and great ideas, be it challenging common assumptions, highlighting happenings in the industry, or defending the eternalness of .COM, these are the people whose voices shape our thoughts, and the domaining marketplace. to hearing from you, our readers. This issue features Rick Schwartz, Frank Schilling, Sahar Sarid, Mark Fulton, Elliot Silver, and Rick Latona. The next issue will include Domain Name Wire. You can register for a free three month subscription to Modern Domainer at ModernDomainer.com. Hey, Take a Chill Pill! It features me? Not to my knowledge.